“If you don’t feel like quitting your sport three times a week, you are not doing something right,” says the athlete. Six months before I was going to represent India in the IWAS (International Wheelchair and Amputee Sports Federation) World Games, in 2015, I injured myself and had to stay out of water for a couple of weeks. I thought it was best to back out. My coach, John Christopher, however, insisted that I participate. He reminded me of the time I had taken up swimming. When I entered the pool for the first time as a young boy, neither my parents nor I had imagined that I would become a top swimmer. Swimming was part of aqua therapy to strengthen my legs as I suffer from spina bifida—an incomplete development of the spinal cord and clubbed feet. But swimming gripped me and I overcame every injury that came my way to become a professional swimmer. In 2015, too, I followed my coach’s advice and decided to participate. I went for the race, jittery and under-confident, with barely four months of training. I knew I had to give my best but the pressure of representing your country in not one but ten events at the World Games was mounting. Usually, I am blank before my race. I don’t think about what has happened in the past nor about what will happen. I just keep swimming. That’s what I did in the race but what followed was absolutely surreal. 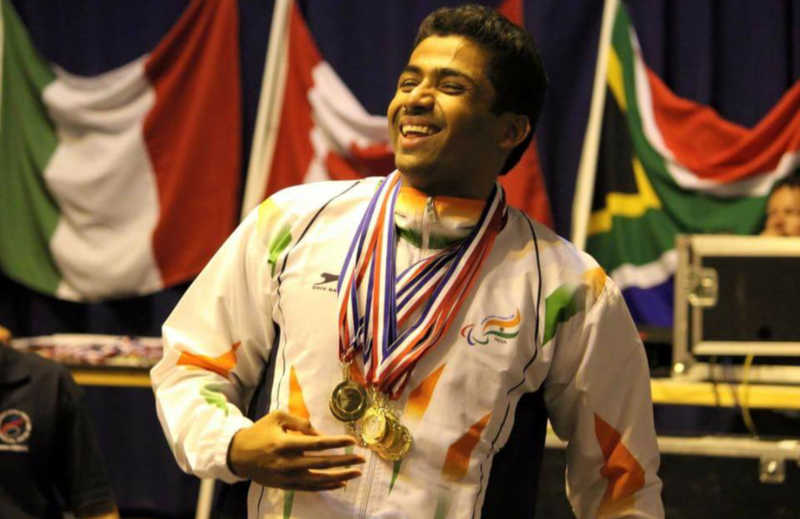 In the IWAS World Games 2015, where I participated after recovering from an injury and making-do with brief practice sessions, I won seven golds and three silvers. 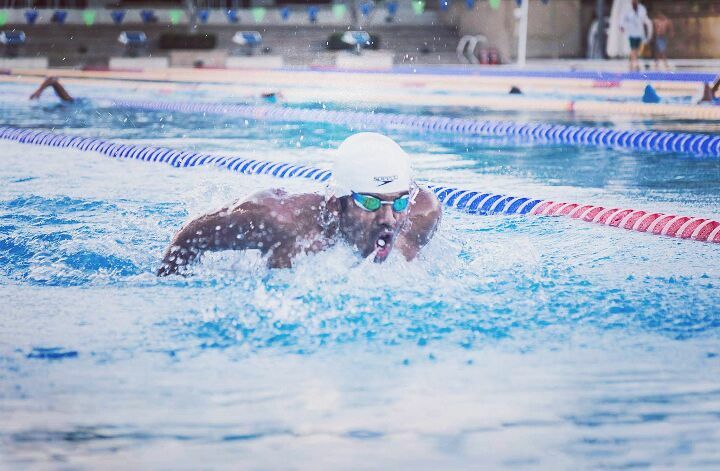 I became the first Indian para-swimmer to win that many golds and was crowned the junior world champion. Few moments in my life have been as overwhelming as that moment was. I was over the moon but what I didn’t know was that losses, much like victories, are an inevitable part of a sports person’s life. I am an injury-prone swimmer. Minor injuries keep me out of water for days and major for months. During these times, I try to swim mentally to ensure that my practice doesn’t suffer but it took me a long time to learn how to control my mind. For the longest time, I didn’t know how to balance my victories and losses—how to strike that balance between ecstasy and misery. As a result, I would lose focus and give into anxiety. Last year, I was bedridden for eight months because of an injury. I required multiple ankle surgeries. This time, I thought it was time to quit, but thankfully, my coach, family and friends motivated me to keep swimming. By then, I had also learnt how to combat barriers in my swimming career just as I would in a race. The lessons came through a mind coach in a high-performance training in Thailand. It was there that I was taught how to keep pressure at bay, how to deal with insecurity when I looked at athletes with a better physique than me, how to keep an equanimous state of mind, or that what’s around you doesn’t matter as much as what’s inside you. After I recovered from the injury that had trapped me to my bed for eight months, I made a new world record in the Asian Series in July 2018. But the learnings have been far greater than any victory or loss: As a swimmer, I know that there are races I’m going to win and some I will brutally lose. Not just races, I have lost world records by microseconds. Then there is the question of striving and staying determined. There have been times when I have walked out of practice, thinking enough is enough, that I can’t do it or it’s time for me to quit. But every time my self-belief is at my lowest, my coach’s words echo in my mind, “If you don’t feel like quitting your sport three times a week, you are not doing something right.” I guess I am doing something right. I have been swimming for the past 16 years. Initially, I thought I’d be a recreational swimmer but early in life, I fell in love with the sport. Now when I look back, I don’t think I could have done anything else. It’s very important to find purpose in life and even more important to stick to it. I have been conscious of my body, my physical wellness but I’ve recently realised how important mental well-being is. Mind is something I focus on much more now. I finish a good training session, I sleep. Rest is very important for a sportsperson and I make sure I sleep 8-9 hours a day. What can I say, I am addicted. Well, I have reduced using my phone during training sessions but my coach isn’t happy. I have to try harder. Thrive Global India’s editorial campaign “Believe” is a pressing and heartfelt initiative in a polarised world that needs belief. Belief to embrace imagination. To look past facts in search of hope. To let dreams preside over experiences, and to usher in the new; a world where people are celebrated, not disparaged, for their uniqueness. Thrive will bring to you stories where people showed extraordinary belief in situations that, at the outset, appeared bleak. These stories take us away from the often hurry sickness of the internet towards a thoughtful, celebratory and joyous world. Towards reflection. Towards contemplation. To perhaps help you revisit or explore your own stories of self-belief. Niranjan Mukundan was born with a medical condition called spina bifida. Till the age of five, he was paralysed below the hip and he fought back to become the Junior World Champion in para-swimming. With 42+ International medals and 80+ medals and the state and national level, Niranjan has been nicknamed the ‘medal machine’ of India.